It's a Great Day to Fish! It has been said that you can learn more in one guided fishing trip, than you can in three months of fishing on your own! Captain David Mydlo is a USCG Licensed Master Captain. He has been fishing the waters of Green Bay since 1990. 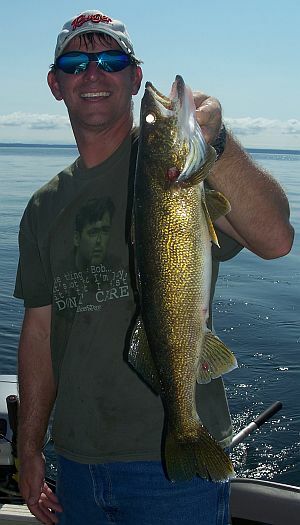 Let Captain David show you the secrets of Green Bay in an enjoyable half or full day professionally guided fishing outing. schedule your full or half day trip! Green Bay and Door County's Top Fishing Guide and Ice Fishing Guide.